The Coworking movement has come a long way for the past several years. It all started as these small hubs and hacker spaces for freelancers and small, low-budget startups. Until recently when it started to evolve into something much, much bigger. Coworking will become the way of working for most if not all small and mid-sized businesses. 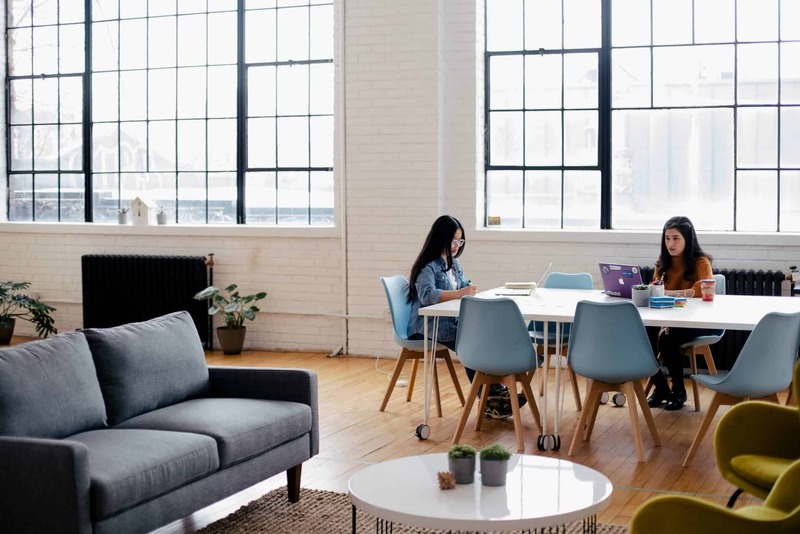 In order to attract such a big mass of different members and companies, the coworking spaces are going through natural evolution. Coworking 2.0 offers a wide variety of services, has a good location, high-end facilities, well-designed brand, solid infrastructure and amazing members of staff. It’s fully automated and has great, well connected offline, online and mobile community. Coworking 2.0 is the next generation of office space, codenamed Spaas (Space As A Service – pronounced SPACE). Have better support, always use the latest version and so much more. As a result, businesses using SaaS products became more agile, adaptive and capable of providing better services. The software industry, on the other hand, exploded. The SaaS model quickly became the software standard. The quality of the available solutions improved significantly too. The software companies started to have faster release cycles, better reach, easier access to customers and feedback which of course, resulted in much better products and happier customers. It’s a win-win situation for both software vendors and software users. A similar change is already happening in the Office industry. Choose from a variety of spaces, communities, and locations. This is what I call Space as a Service (SpaaS) or Workspace as a Service (WaaS). Coworking 2.0 will become the standard in the office industry and traditional offices will be the exception. Choose the right atmosphere, design, look, and feel. The Coworking now is different from the Coworking of 2010. The end-user is different and the spaces are different. Coworking spaces often used to be in dodgy, underdeveloped areas and buildings. This is changing faster than you can imagine. 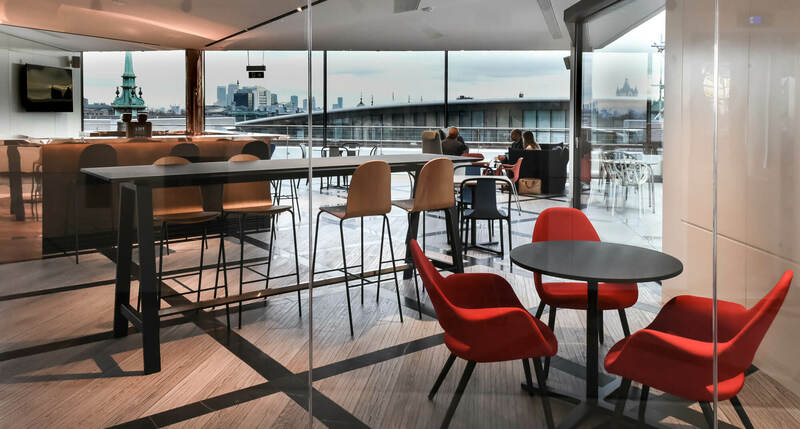 The new wave of Coworking spaces chooses prime, first-class locations and buildings. They have great transport and parking options, great infrastructure and most importantly they are based in the best parts of the city. 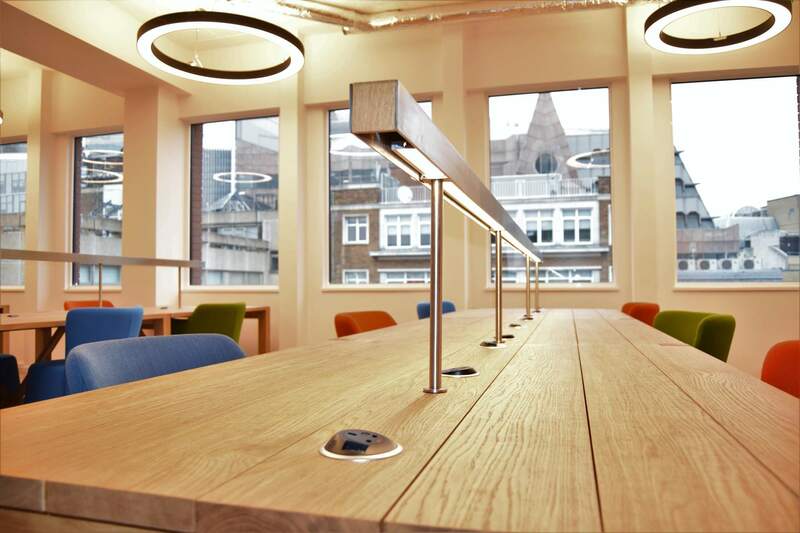 Let’s have a look at the building of Us&Co, one of the latest spaces in central London. They are based in one of the best areas in the City – 7 Harp Lane EC3R 6DP – with perfect transport links. It’s a great, bright building with amazing views of the river Themes and the City of London. Us&Co cafe on the rooftop. New coworking spaces invest a lot in fit-out, design, and great facilities. If you want to attract a certain type of customers, i.e. grown ups and mid-size companies, you need good facilities. Things like proper air-cond, high-end chairs and desks, nice lounge and common areas and professional maintenance are becoming a norm. Good branding is not something new. But it’s something that is more and more important. Strong competition means that strong brands win and weak brands not. You should invest in good branding, design, web & mobile presence and the overall experience of the space. Everything should connect and should be up to the highest standards in Branding and Marketing. Here’s a good article on the best Marketing techniques for coworking spaces. The Coworking 2.0 has to be automated. You need to connect the dots and save money and time from staff so they can focus on building a real community instead of dealing with invoices, keys, and spreadsheets. Door access, WiFi, Printing, Billing, Accounting, Calendars, Sales – it all should be well integrated. 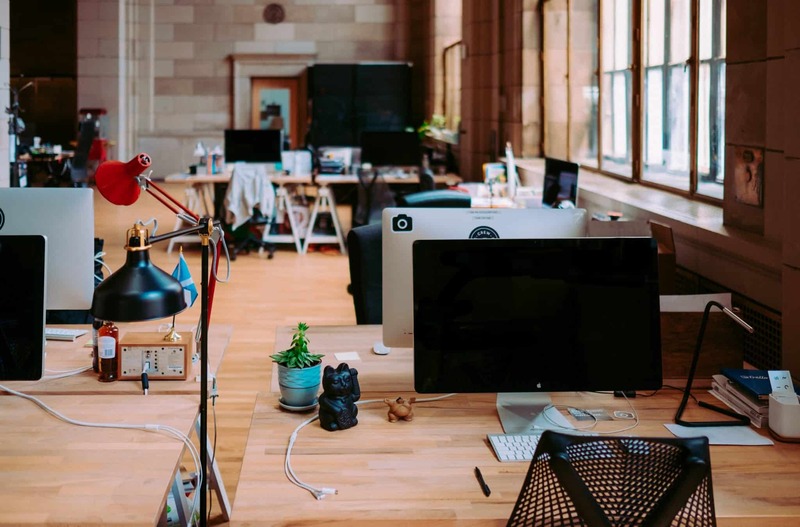 The next generation coworking space needs to be fully equipped with the highest standard IT infrastructure or management software. You can’t afford poor connectivity even for a moment. The coworking members are so dependent on the internet that even a 5 min disruption may have a really bad effect on them. It’s easy to lose customers because of a poor Internet or WiFi connectivity. Building a vibrant community is probably the hardest part of making a great Coworking space. It’s a long path from zero to good to a great community but you have to take it. Building it requires a lot of effort, a great team, and energy. You need to build it, curate it, stimulate it and grow it. You have to be likable so that people want to work with you in your space. You need a good brand – either personal or the brand of the company. You also need good evangelists. Your first members need to be pitching the space all around the town and selling space for you. Last but not least, you need great members of staff. Your community manager(s) has to love their job. You need the right people in the right seats on the bus. Your members’ first, second and the third impression will come from the community manager. Coworking 2.0 spaces invest in the right staff and they will make a great first impression. Community 2.0 is Connected. You need to provide the means for your members to find easily each other, learn more about each other, get in touch with each other. It has to be social. It has to be mobile. Most of all, it has to be collaborative.